We have 10000+ unique designs for everybody's style & personality! This hoodie is made of 100% polyester and hand-finished to ensure your pullover hoodie graphic is aligned, complete, and totally rare. Machine wash as much as you like - our hoodies undergo sublimation printing that utilizes a special heat-dye application that resists fading and bleeds. Our high construction quality with great attention to detail ensures it won't ever fade, crack, or peel! 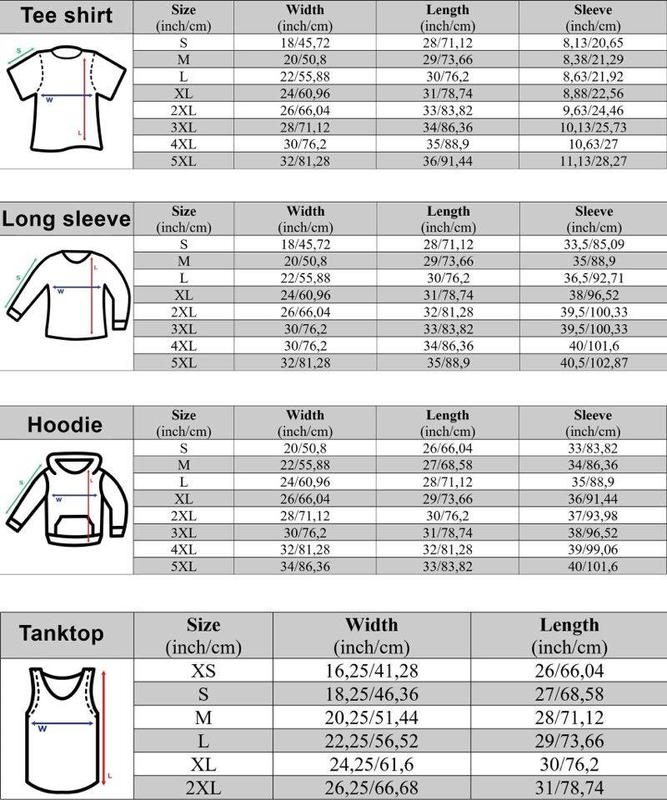 Please choose the right size by our size chart. You also could contact us by Message or email to support@tee89.com, we will help you to choose the right size. Because of lighting and display, there will be a little color difference, please understand.